SMS Ringtones app with new sms tones and popular message sounds will put a smile on your face before you know who the message is from. Make your typical day more interesting! Download SMS Ringtones app and enjoy the best sms ringtones and free message tones. This app is ready to follow your orders. 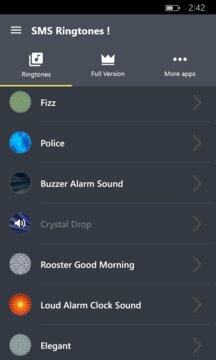 New soundboard with top ringtones, notification tones, message tones and alarm sounds will come in handy in case your sms sounds get too boring. You'll be able to set awesome ringtones for each of your contacts. These best ringtones and sms sounds will make your texting and calling more fun. Share these free message tones with your friends and you will have top texting back and forth! Dress up your phone with sms ringtones and enjoy cool sms sounds. 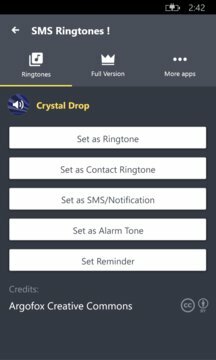 Sounds and tones used in SMS Ringtones are under Creative Commons license (CC 1.0, CC0 1.0, CC BY 2.0, CC BY-ND 2.0, CC BY 2.5, CC BY 3.0, CC BY-SA 3.0, CC BY 4.0), credited in the app, where appropriate.